So, you finally did it – you started your own business. Starting a small business takes a lot more than a great idea or product. It takes passion, commitment, and the ability to wear numerous hats to make your business successful. While being a business owner is rewarding, it is also very time consuming. One of the most common complaints I hear from other small business owners is – “I don’t have enough time in the day to do everything that needs to be done.” But it’s now possible to automate some of the more mundane tasks with specialized software, which will leave you with more time to plan for your business’ growth. If you’re still doing most things manually in your business, here are three areas where automation could save you a lot of time. Accounting is another time-intensive area where you can automate the process and manage your books successfully. Stop shoebox accounting and get online to view all your transactions in one place. Excel spreadsheets are a thing of the past. You can sync your bank accounts and financial apps with your accounting software to get up-to-date reports and analysis, keep track of your expenses for tax purposes, pay bills, and send customized reports to your accountant. QuickBooks offers a free trial, and plans start at $17 per month. Payroll is more than just cutting checks to your employees. It includes filing the correct forms, calculating the right amount of taxes due, and paying those taxes on time to the IRS. When you process your own payroll inhouse, it not only takes a great deal of time, but if you make mistakes, you could pay for them by being charged fines and penalties. However, if you choose an online payroll service can eliminate the risk of mistakes and save yourself valuable time in the process. Intuit offers several payroll platforms which allow you to choose the services you want to outsource. Intuit offers direct deposits into your employee’s bank accounts, calculating withholding taxes and then paying them to the appropriate government office, staying on top of tax rate changes, tracking vacation, overtime, and sick leave, preparing W-2 forms, and managing health care plan contributions. The cost for these services typically range from $40 to $80 plus $2 per employee per month. It’s important for small-business owners to stay on top of their accounts receivable. One of the best ways to do that is to offer your customers an easy way to pay. With QuickBooks Payments your invoices go from sent to paid in days. You can send your invoices with a PAY NOW button that will allow your customers the ability to pay their invoice instantly via ACH bank transfer or credit card. 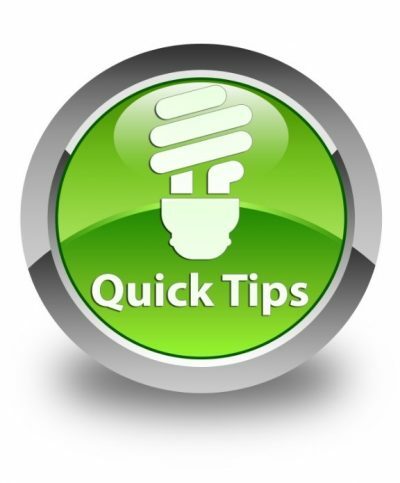 QuickBooks will auto-update your books and deposit the funds directly into your bank account.